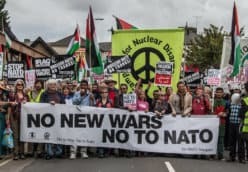 CND campaigns for Britain to leave NATO and for the military alliance to be disbanded. 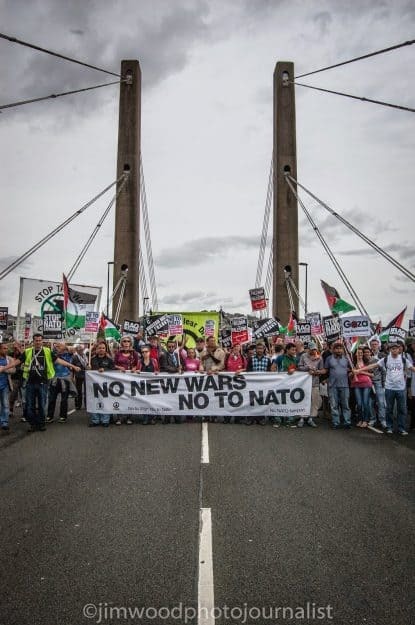 NATO is a military alliance of Western countries that was established in 1949 during the early years of the Cold War and has since become an ever-expanding interventionist bloc, operating on a global scale. 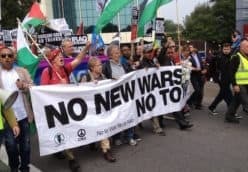 The war on Afghanistan was just one example of the destabilising and destructive impact of its policies. 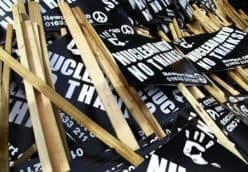 Around 180 nuclear weapons remain at bases across Europe as part of NATO defence policy, in violation of international law and in spite of massive opposition. 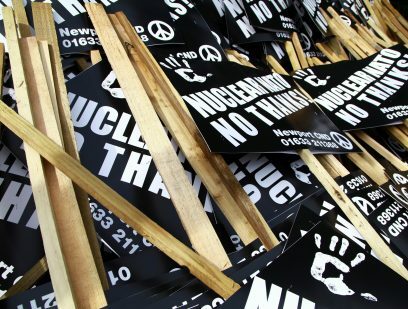 Britain’s Trident nuclear weapons system is actually assigned to NATO. NATO adopted a new Strategic Concept at its 2010 summit. It recommitted to an interventionist military agenda that set back the cause of peace and nuclear disarmament. This included an expansion of its area of work to ‘counterterrorism, cyber-security, and the proliferation of chemical, biological and nuclear weapons’. The summit also agreed to integrate the US missile defence system with a European theatre missile defence programme under the auspices of NATO. Developments since then are extending NATO’s global influence. 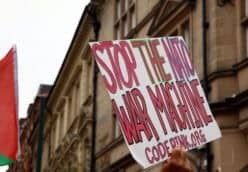 NATO causes instability across the globe – as well as costing us increasing amounts of money – and it must be disbanded.